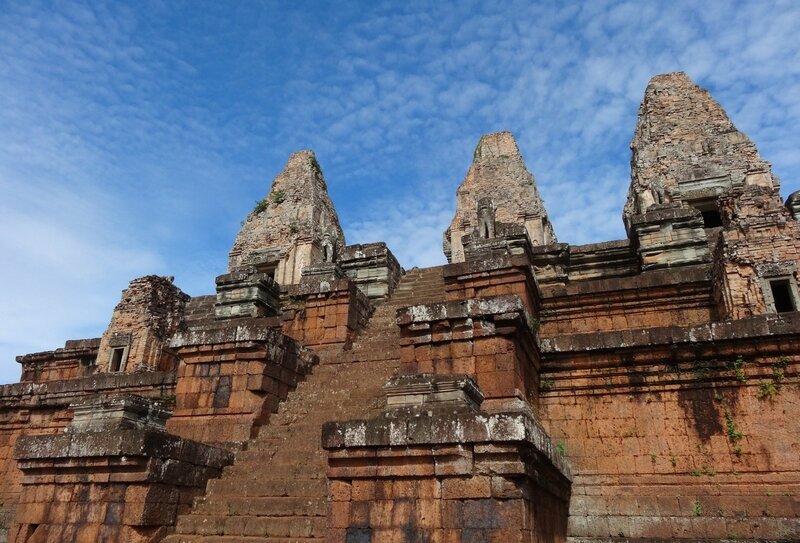 Explore Vietnam and Cambodia on this fantastic 20-day group tour! 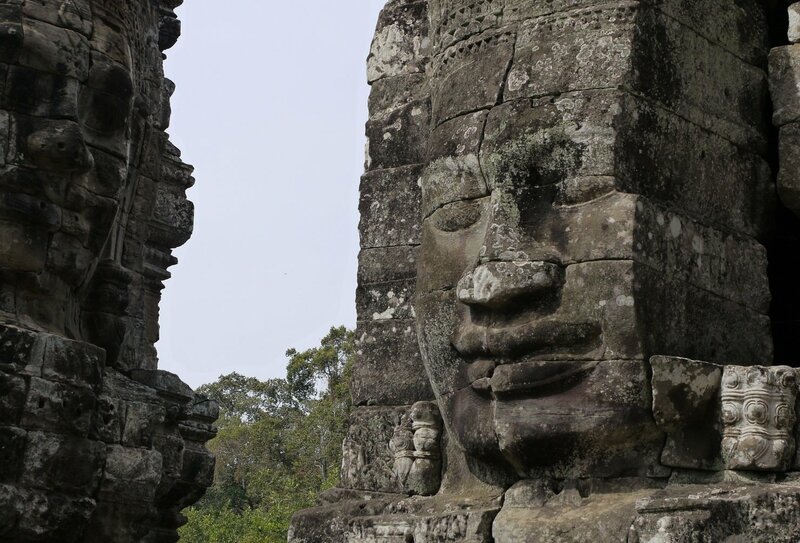 Kicking off in Bangkok, Thailand, this trip sees you exploring the stunning temples of Angkor Wat, relaxing on the perfect beaches of Sihanoukville, visiting a floating market on the Mekong Delta, cruising around spectacular Ha Long Bay, and much more! 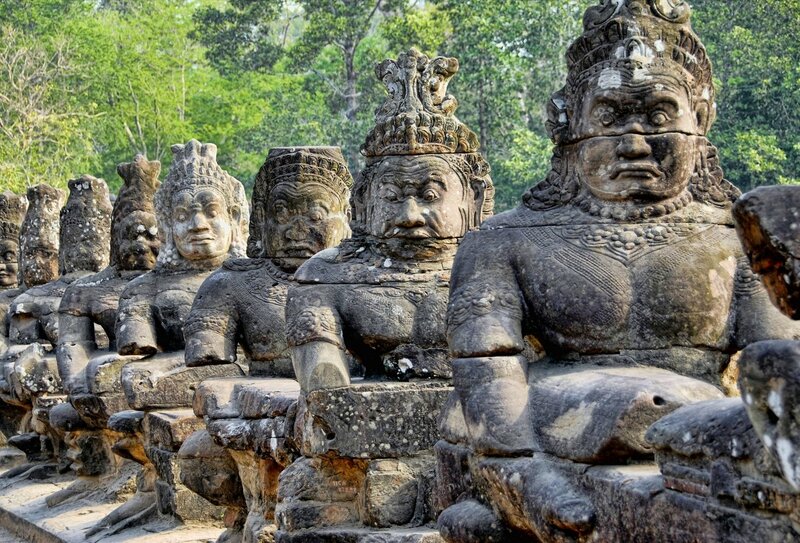 Discover the very best of these gorgeous Southeast Asian countries, and make memories to last a lifetime! 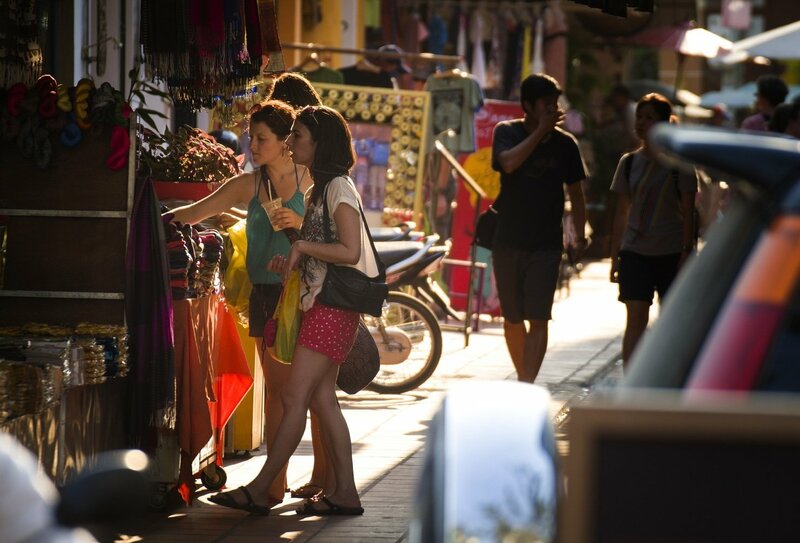 Arrive into Bangkok and make your way to your starting accommodation in the city. We’ll all meet tonight at a welcome meeting and get to know each other. This morning we’ll leave the buzz of Bangkok behind and venture into the Thai countryside towards Cambodia. 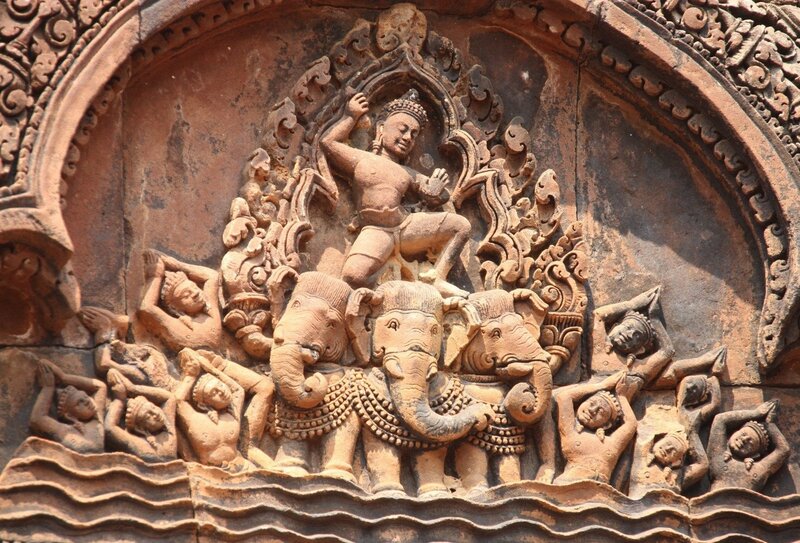 We’ll cross the border at Aranyaprathet and then travel to Siem Reap. En route, we’ll stop off at a restaurant project that gives local people the opportunity to learn new skills. Breakfast and dinner included. A real treat today! 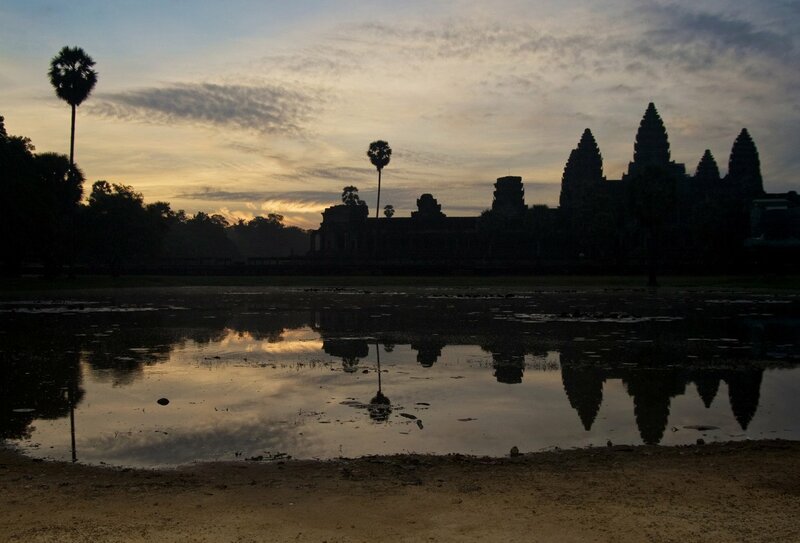 We’ll visit the gorgeous Angkor Wat temple complex and enjoy a sunrise guided tour. 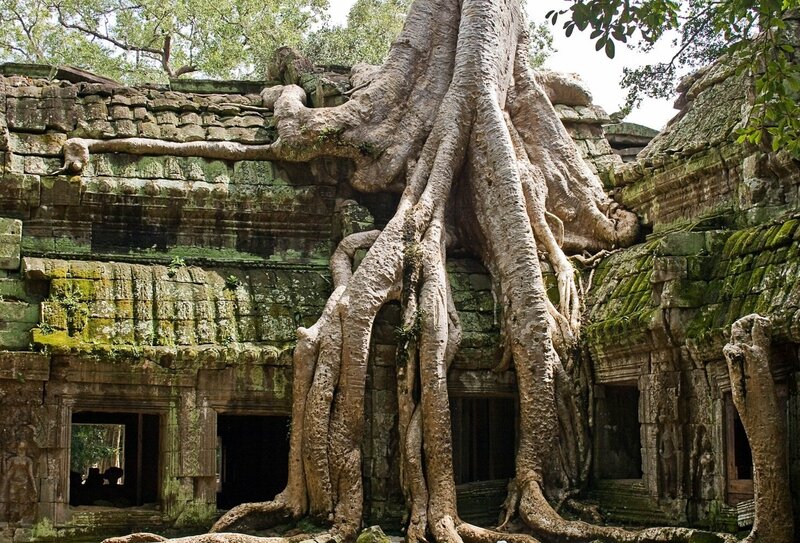 The rest of the day is free to explore Siem Reap. Tonight, enjoy a big night out with your group! Breakfast included today. 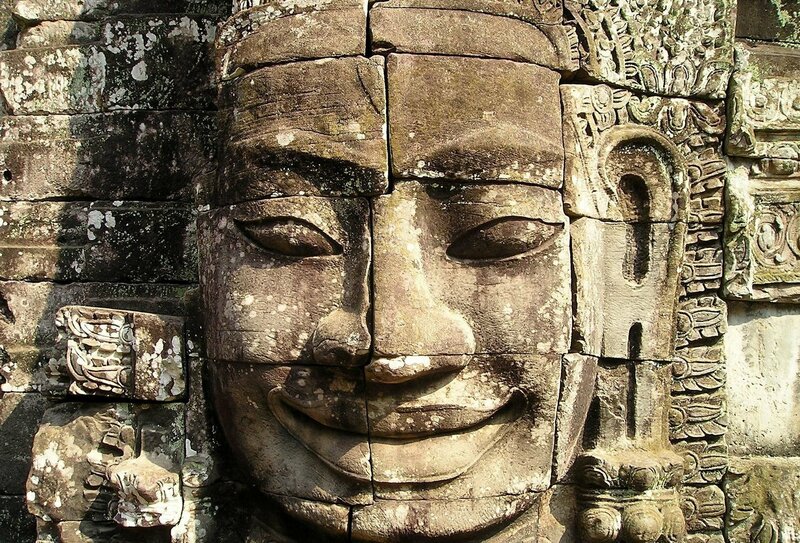 A long day of travelling today as we venture south to the capital of Cambodia, Phnom Penh. 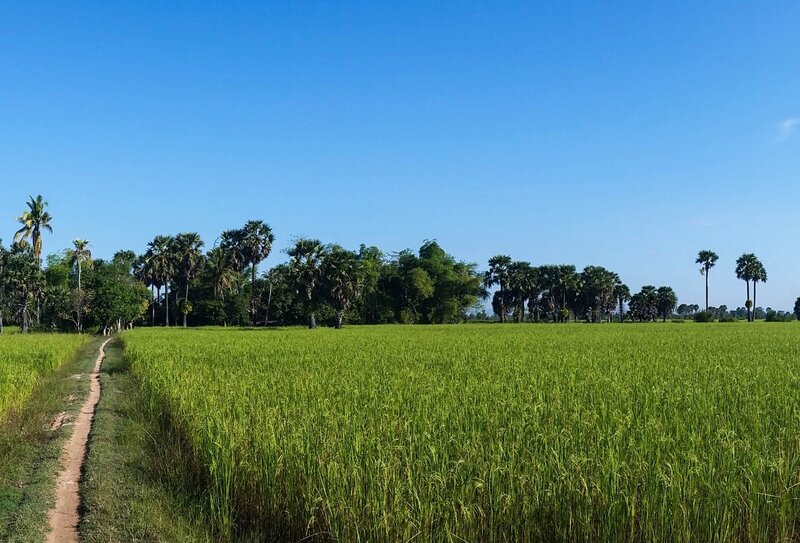 Sit back, relax, and watch the Cambodian countryside sweep past as you journey to the capital. 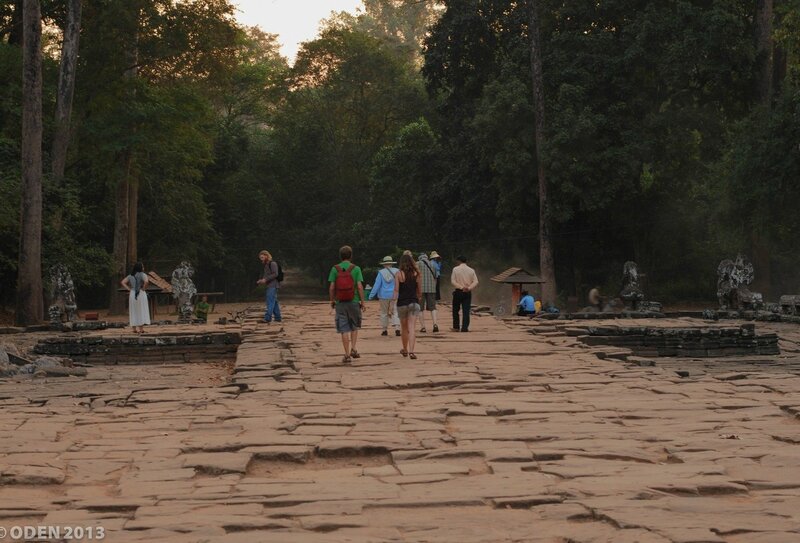 On arrival, we will enjoy a brief orientation walk around the city so that you can get your bearings. 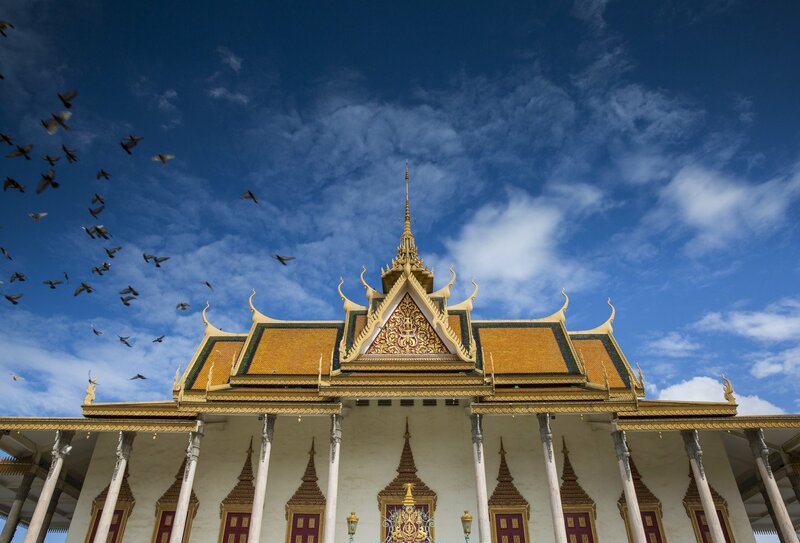 We’ll enjoy a free day to explore Phnom Penh today. 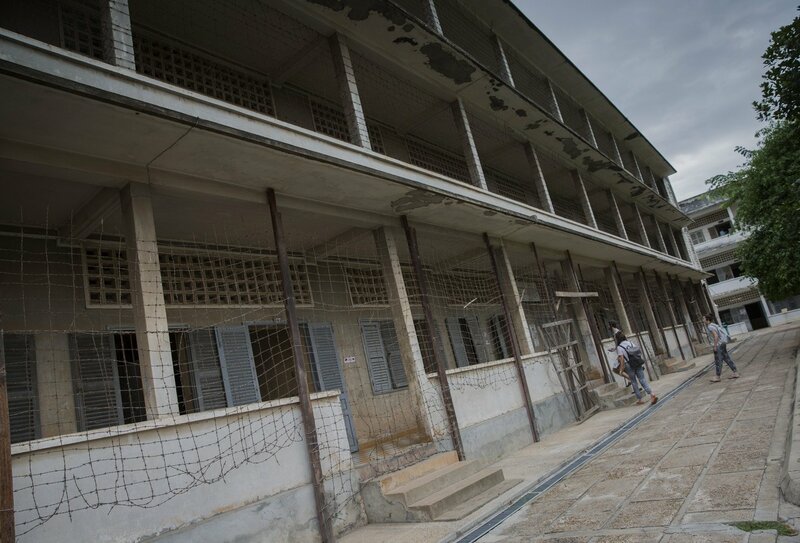 Opt to visit the dark Tuol Sleng Museum and the Killing Fields, which remember the horrific events that occurred under the Khmer Rouge Regime. Breakfast included today. 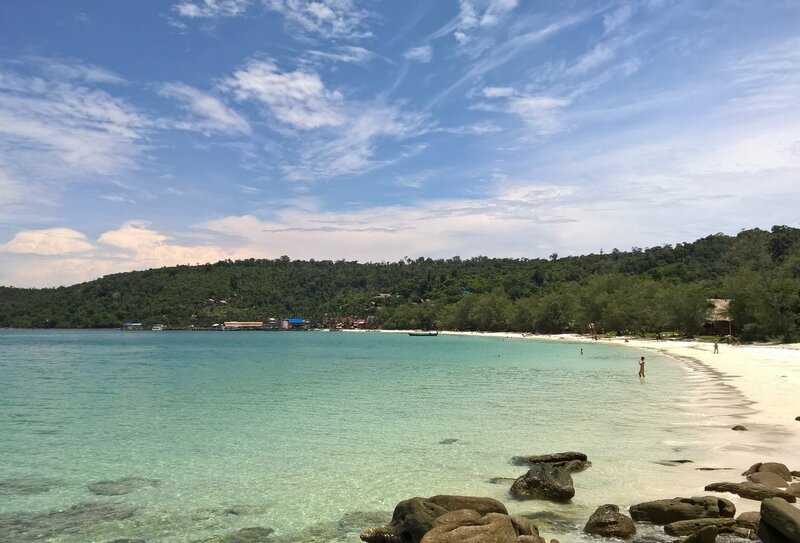 This morning we’ll journey south to Sihanoukville, where we'llhop on a ferry over to the stunning island of Koh Rong. We’ll arrive in the afternoon, leaving us the rest of the day to hit the beach and soak up the sun! Breakfast included. A day of blissful island living. Wake up and head to the sands for some relaxation or join an optional snorkelling boat trip. 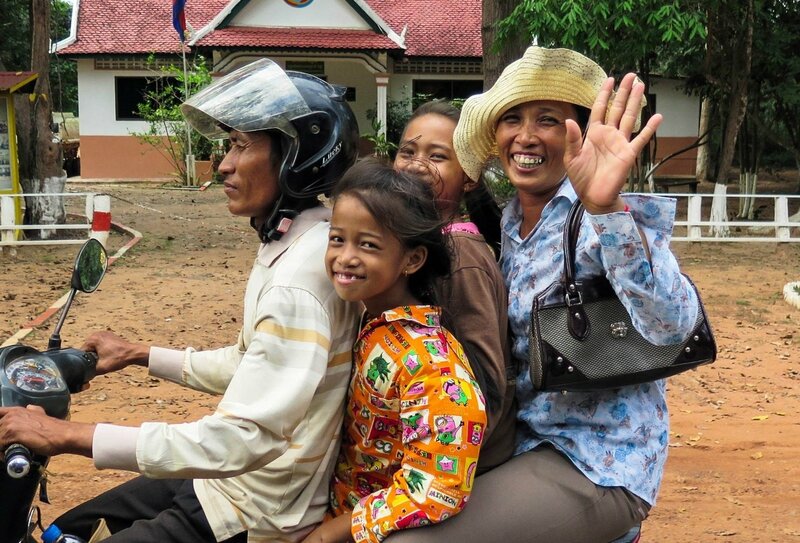 Leave the island behind, and journey into rural Cambodia to a traditional village homestay where you will spend the night. Dinner included. Time to enter our third country of the trip! 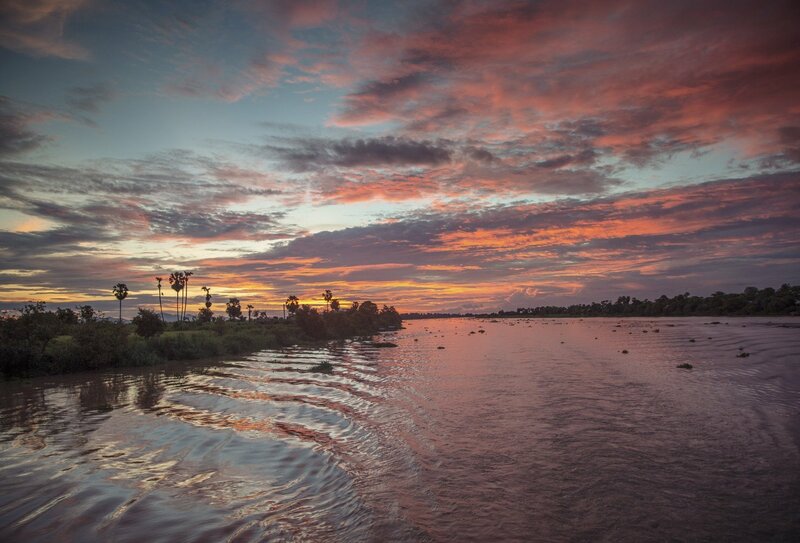 Hop over the border into Vietnam and travel through the beautiful Mekong Delta. 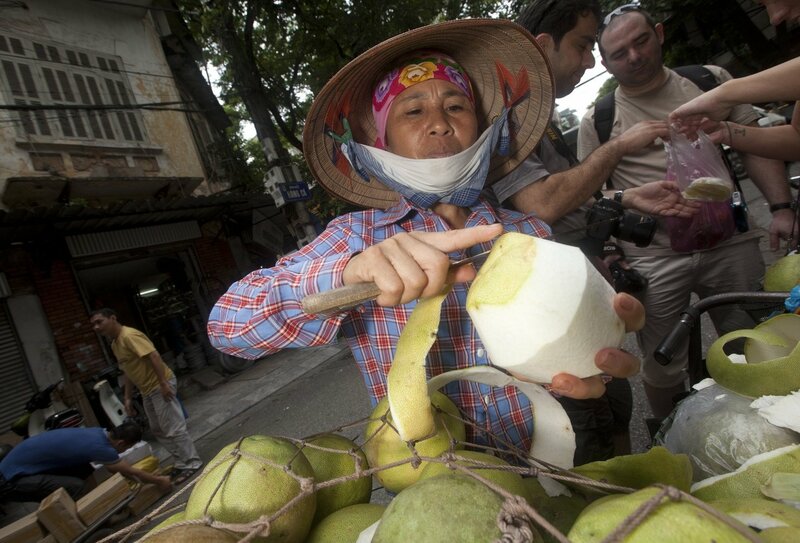 We’ll then arrive into Ho Chi Minh City and enjoy a street food crawl around some of the city’s best eating spots. Breakfast included. 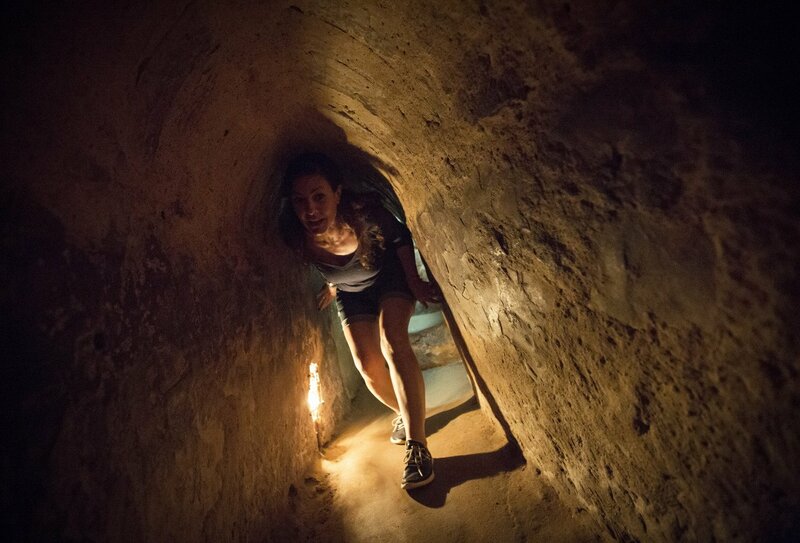 Today is a completely free day to explore Ho Chi Minh City at your leisure. 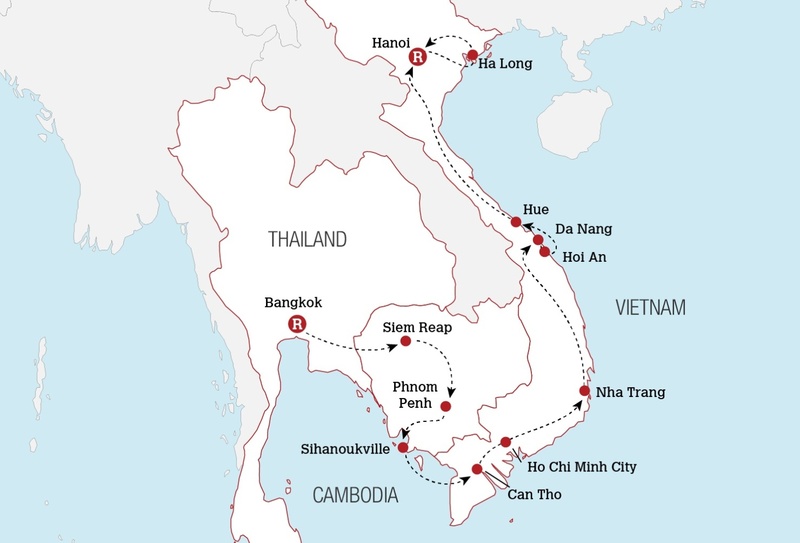 We’ll then board an overnight train to Nha Trang. Breakfast included today. We’ll wake up this morning as the train rolls into Nha Trang. 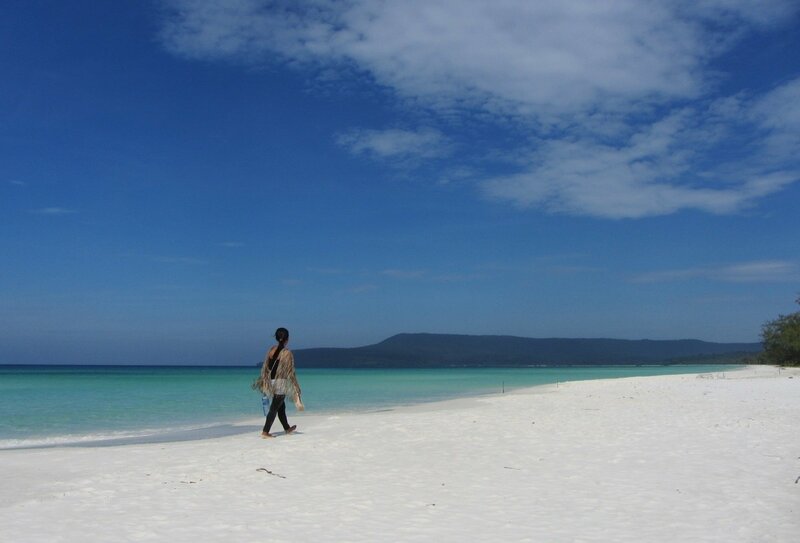 We’ll then enjoy a free day to explore this vibrant beach town. 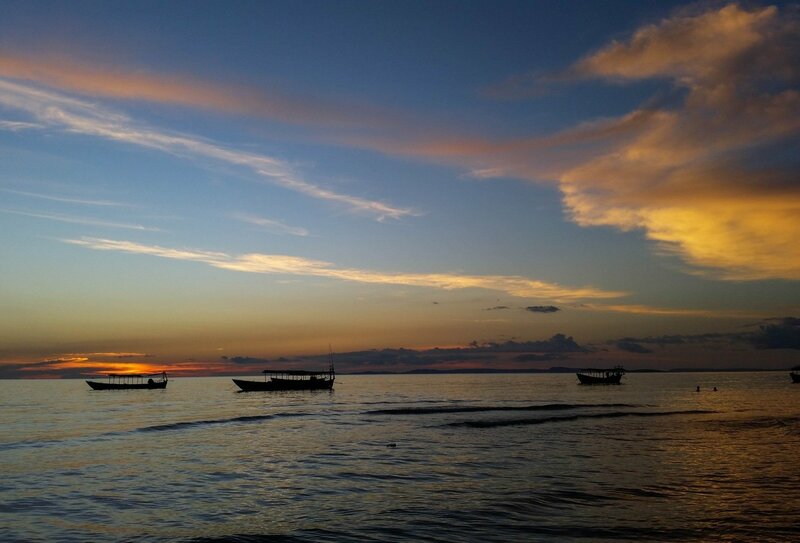 Optional activities include a snorkelling day trip around the surrounding tropical islands or a boat tour. We’ll enjoy a final free day in Nha Trang, getting involved in any activities that we missed out on yesterday. Tonight, we’ll board an overnight train to Hoi An. Breakfast included. The train arrives into Da Nang this morning. 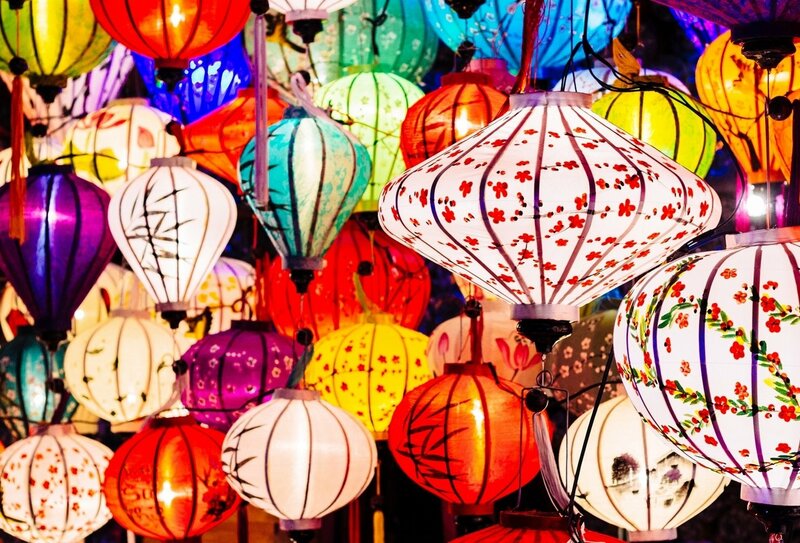 We’ll then transfer to nearby Hoi An, a gorgeous lamplit town of tailors and riverside bars. Tonight, treat your taste buds with a street food crawl through the city. This morning, we’ll head over to a fantastic noodles project, which helps local young people improve their English and widen their skill set. 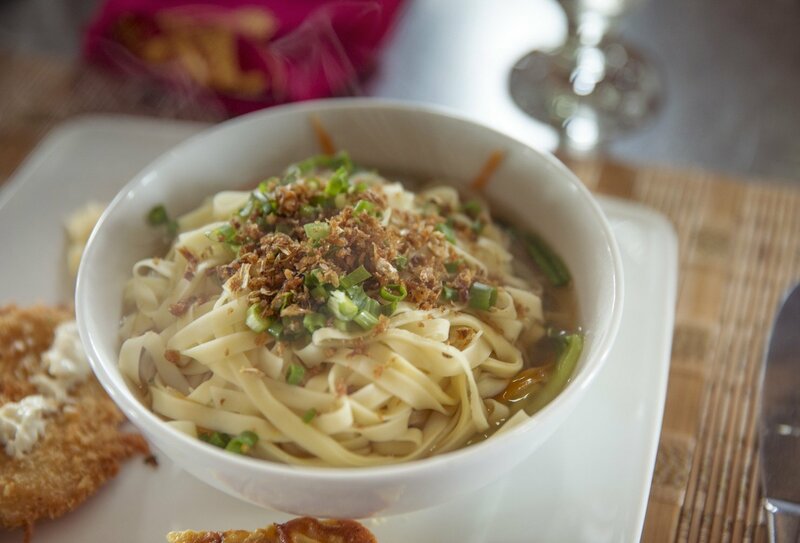 You will prepare a number of different types of noodles and tuck into your creations for lunch!The rest of the day is free make the most of beautiful Hoi An! Breakfast and lunch included. We’ll leave Hoi An behind this morning and embark on a 4-hour journey north to the city of Hue. 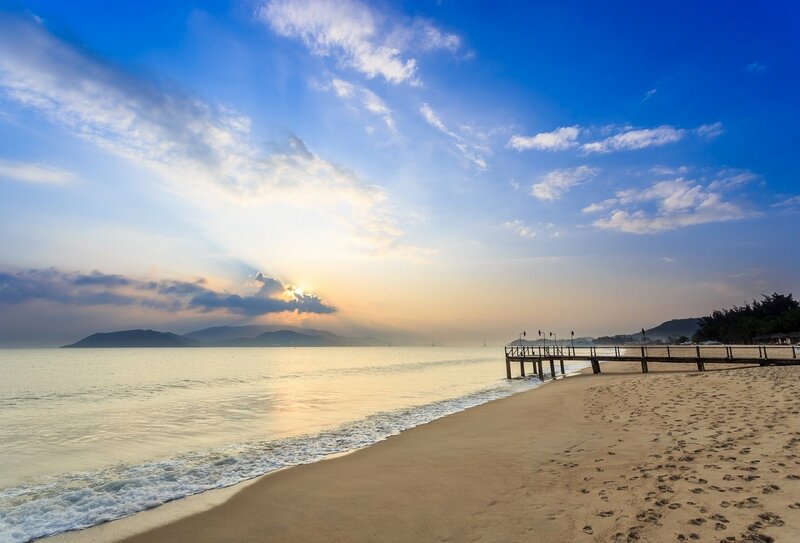 When we arrive, we can relax and freshen up after our journey, before enjoying a free afternoon to explore Hue. Breakfast included. 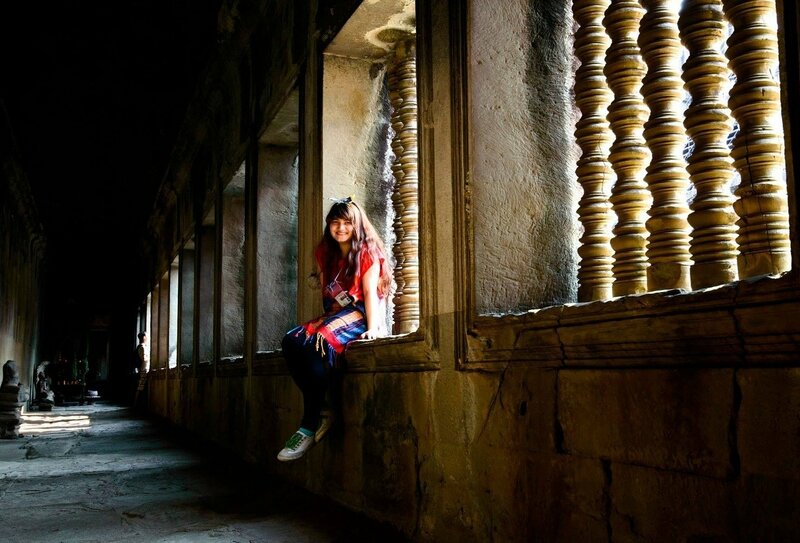 Enjoy a free day in Hue, ticking off anything you missed yesterday, before hopping on board an overnight train to Hanoi. 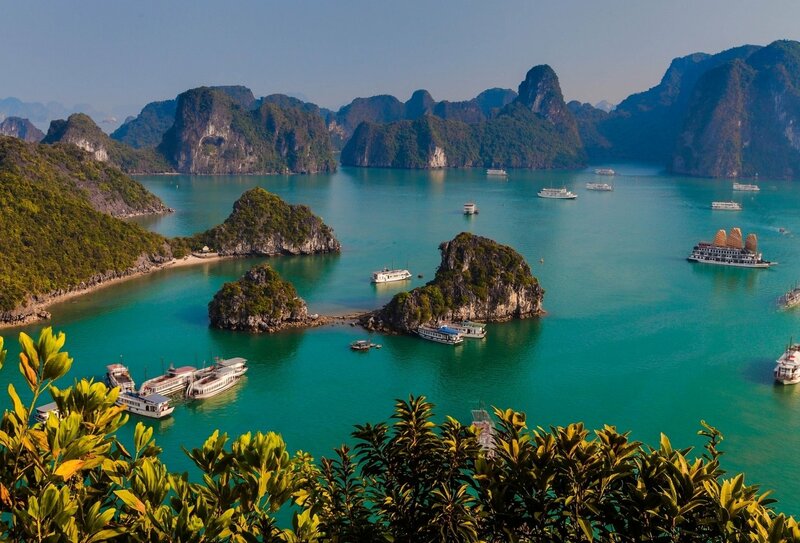 We’ll arrive into Hanoi early this morning, and jump on a private bus transfer to gorgeous Ha Long Bay. Here, we’ll board a traditional sailing junk boat and glide across the bay, passing by limestone islands and intricate caves. We’ll stop off at an island cave to tuck into a tasty seafood lunch before returning to the mainland for the evening. Lunch included. We’ll return to Hanoi this morning and embark on a short orientation walk around the beautiful Old Quarter. 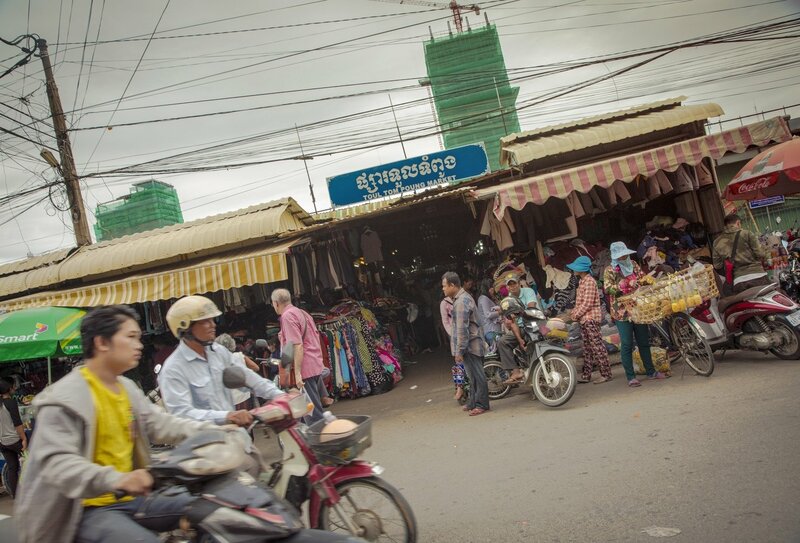 Each street in this area is named after a different trade that has been practiced there for generations. 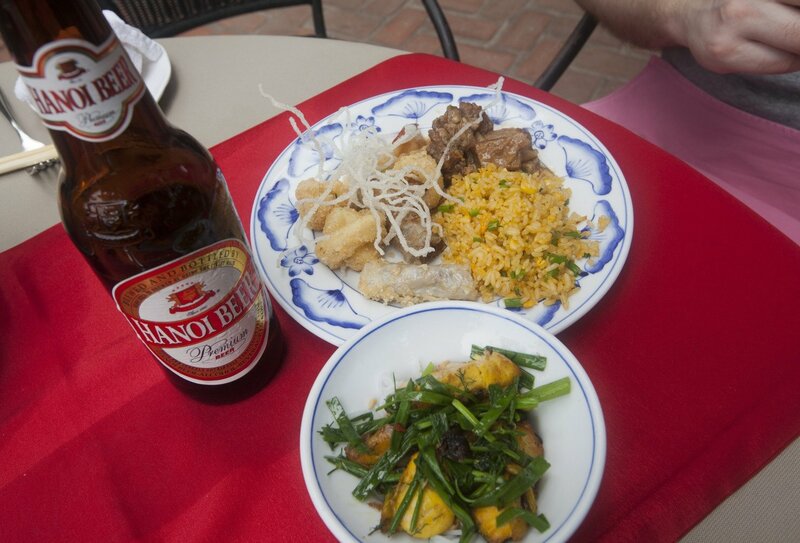 Exploring is thirsty work, so you can stop at Bia Hoi corner for a local brew. This afternoon is yours to explore as you wish. Breakfast included. A full free day to catch up on anything you missed yesterday. Explore, relax and hang out with the group. 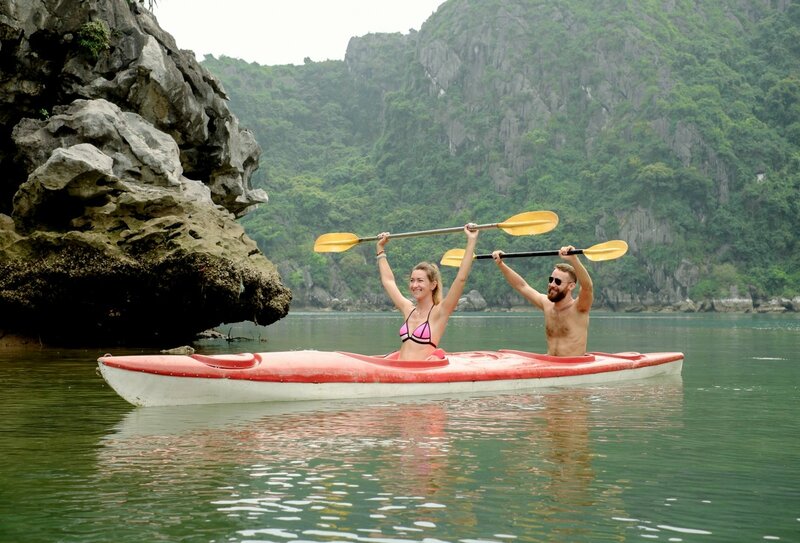 Your fantastic Vietnam experience is almost at an end! Breakfast included. Your tour ends this morning. Depart at any time. A return airport transfer is not included but is easy to arrange. Your guide will be on hand to help you organise onward travel. 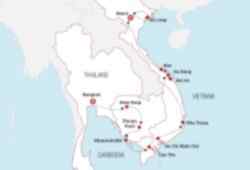 19 nights of accommodation are included on this trip and will be on a twin/multi share basis. 14 nights will be spent in simple hotels, 3 nights will be spent on sleeper trains, 1 night will be spent in a traditional homestay and 1 night will be spent in a hostel dorm. 14 breakfasts, 2 lunches and 2 dinners are included. You will need to purchase the rest of your meals yourself. This is a great way to experience local culture by talking to local people and sampling authentic food. 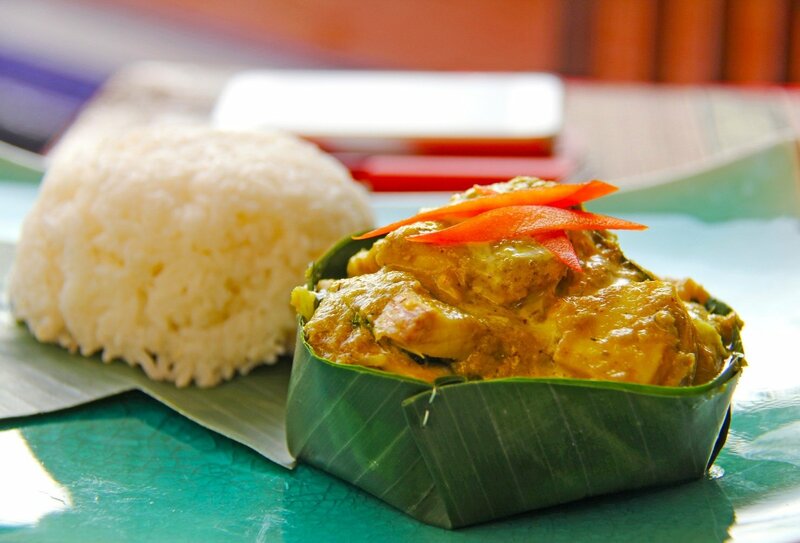 We recommend a budget of USD 210-275 for meals not included. Your trip begins in Bangkok on day 1 of the tour with an important welcome meeting that is normally held at 6pm. An arrival transfer is not included but is easy to arrange, please contact us for details, alternatively when you arrive at the airport you can either take a taxi, bus or train into the city. Your tour ends in Hanoi on day 20, there are no activities planned for this day and you are free to depart at any time. A return transfer is not included. Your tour guide can help you organise this journey. 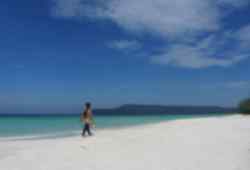 The minimum age to join this trip is 18, the maximum age is 39 years. 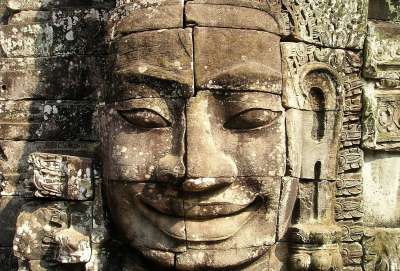 You will need a visa to enter Cambodia. British passport holders can obtain a visa online before travelling or on arrival at the airport (where you will need to pay the 30USD fee). 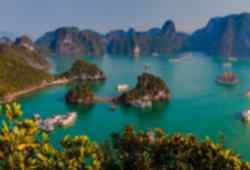 British passport holders can currently enter Vietnam without a visa for stays of up to 15 days (subject to conditions). 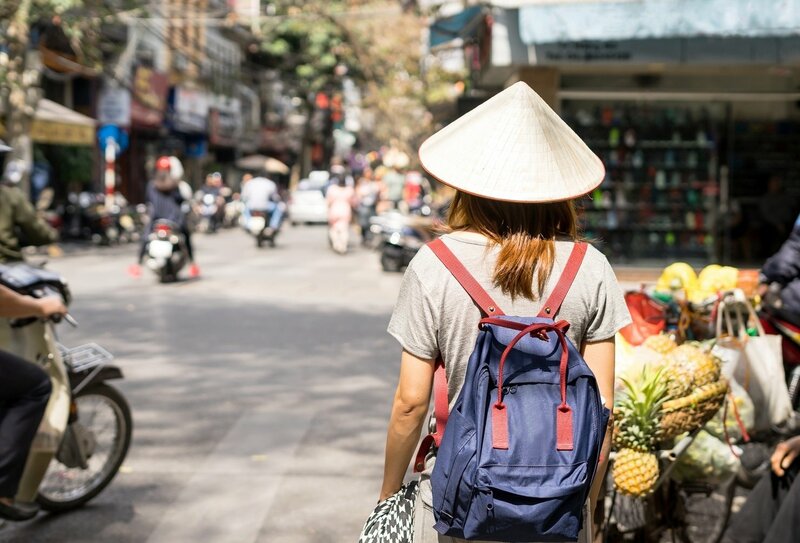 If you intend to stay for more than 15 days, or you wish to leave and re-enter Vietnam within 30 days of your first visit you will need to obtain a visa prior to travel. You must have at least six months’ validity remaining on your passport from the date you plan to return home. It is your responsibility to obtain the necessary visas for your time away. What Are The Sleeper Trains Like? Sleeper trains typically have 4 seats per compartment. The seats convert into sleeping bunks (two upper and two lower). A sheet, pillow and blanket are provided, although you may prefer to bring your own sleeping sheet. How Much Should I Take For Meals That Aren’t Included? We recommend taking around £200 to cover extra meals and snacks. 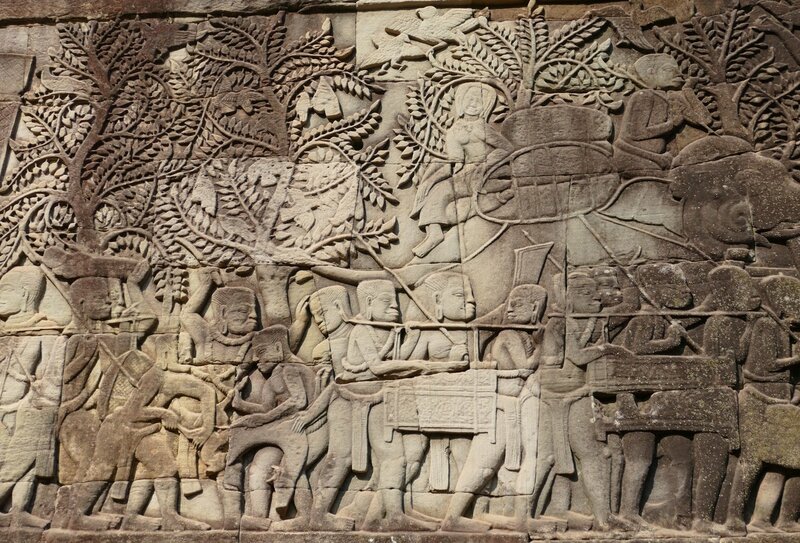 The average group size is 12 travellers. The maximum group size is 18.